Create magical moments with your family when you build a pool-side oasis, conversation pit, outdoor kitchen or simple patio. A natural stone or paver patio installation expands your home’s usable space into San Diego’s exquisite climate and terrain. Working closely with Superior Stucco & Stone’s founder and owner, Pavel Vejmelka, you can build your dream retreat. 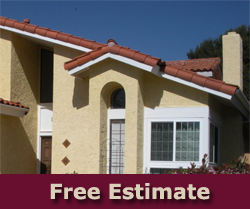 We pride ourselves on providing the custom patio installation San Diego homeowners have been raving about since 1988. 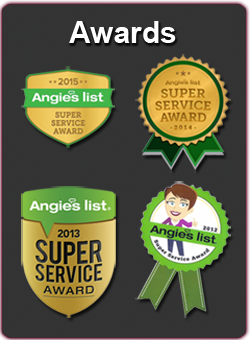 Our 260 reviews on Angie’s List helped to win us Angie’s “Super Service Award” several years in a row. Our 16, 4- and 5-star Yelp reviews echo that we always work up-to-code and by-the-book at a fair price. Find reviews from real customers here. 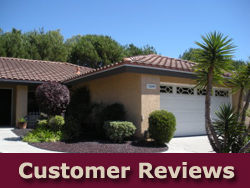 More than 3,000 happy customers have trusted Superior Stucco and Stone to install their patio. Pavel and his team have seen first-hand how the patio adds extra living space to a home, increasing its value. More than providing practical resale value, however, a beautiful custom patio helps families spend time together daily, surrounded by the palm trees, flowers and humming birds that make San Diego so special. How Do I Get a Patio Installation or Repair Quote? We will visually assess your patio needs and provide you with a fair estimate. We look forward to serving you! Unlike many stone masons, we put quality materials in the hands of the best craftspeople every time. Our 30 years’ experience have helped us learn how to do it affordably. A patio designed and installed by Superior patio builders not only extends your living space, it makes entertaining easy, keeps messy events outside and creates a dramatic but natural extension of your home. Talk to company owner Pavel to narrow down your choices, find backyard patio ideas and options you may have overlooked. Schedule your appointment for on-site, no-obligation consultation. Meet with Pavel and/or Hugo at your home to review your best options. Superior’s portfolio and online options like Houzz and Landscaping Network provide ideas of finished jobs. We deliver your plan within 48 hours. Together, we tweak it per your specifications. No obligation if you go with another contractor. 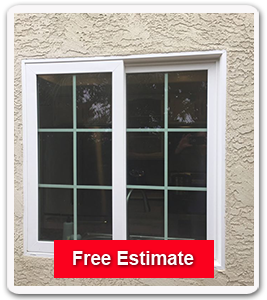 Every Superior Stucco and Stone patio comes with a one year guarantee on work and all materials but the stone itself, which has a manufacturer’s guarantee. We believe hardscaping should last a lifetime. As San Diego’s leading paver and natural stone patio contractors, we believe landscaping elements should last a lifetime. We guarantee our patio installation work and the materials other than stone itself for one year. 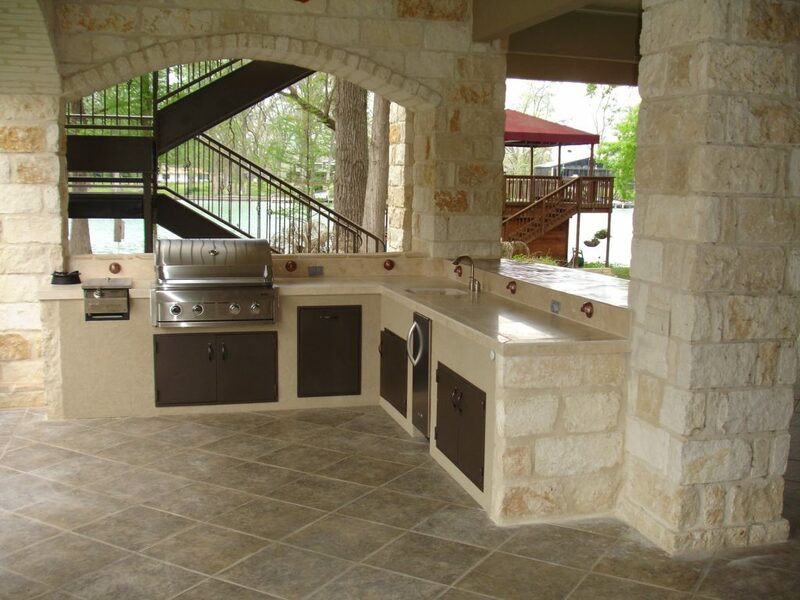 Your patio should reflect the quality materials you’ve chosen for every element in your home. Luckily, it’s easy to match the right stone to all the architectural styles in San Diego homes from Del Mar to Point Loma and Inland to Rancho Bernardo. Whether your home is in the Craftsman, Victorian, Ranch, Adobe, Mid-Century Modern, or Spanish Mediterranean style, patio stones and pavers exist to match and enhance both color and texture. 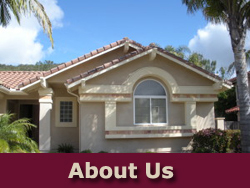 Superior Stucco and Stone has spent decades making sure homeowners will be happy long-term with their choices. If you’ve seen it (and even snapped it), we can find the pavers and/or stones to bring it to life in your backyard. If you haven’t seen exactly what you’re looking for yet, rest assured we have the resources to help you find it. Many San Diego and Southern California homeowners use paving stones—compressed, colored and shaped concrete—to save money on their patio remodel or build. Another big advantage is that paving stones, rather than being cemented into the ground, are place on a bed of sand, allowing them some movement due to weather conditions or even earthquakes and tremors. Pavers won’t crack like poured, stamped concrete. Once the pavers are placed, sand gets poured in the joints, further stabilizing them. If a paving stone is stained by paint or oil, homeowners replace them quickly and easily—and affordably as well! Paving stones can also be sealed, which prevents most stains. Paving stones come in hundreds of sizes, shapes, textures and colors. This information helps you narrow down your choices. Paver Textures: Some homeowners like a smooth texture while others prefer the rough texture that results from tumbling the concrete. The smooth texture conveys a more modern look and the tumbled, a worn, rustic style. Of course, the decision is based on your goal. While a rough texture (brick) could match a Victorian style home’s aged look, if you want the patio to blend into the background so the home details and unique “gingerbread” features stand out, plain, smooth pavers accomplish that as well. Paver Colors: Pavers can come in many (typically earth) tones. As with paint, various paver hues can convey different feelings. Light colors give the patio a larger feel, delineating it from the landscape. Dark colors draw the patio in. A light patio in a large outdoor space can convey a sense that it’s stretching on forever. For those who intend to showcase the landscape (trees, shrubs, flowers) a dark patio will blend into the environment better. Keep in mind that dark pavers can fade in the sun. Of course the paver colors need to complement the home’s hues as well. Create unity between your home and the patio by choosing paver colors one shade lighter or darker than your home. Matching exactly overwhelms your property in monochrome. Paver Sizes: For a while, large pavers measuring four feet square or two feet on each side were all the rage in San Diego. Again, the size of the paver depends on the homeowner’s goal for the space. Small pavers can make a patio look larger. Larger pavers tend to have an overbearing feel to them, overwhelming the space. A natural stone patio outlives its occupants every time, impressing guests for decades. For nature lovers and outdoors enthusiasts, natural stone is the only choice. Its gorgeous textures, colors and (sometimes irregular) shapes just fit their ethic and the environment. Marble – often installed with a high gloss, a marble patio is definitely set to stun. This opulent look typically comes in cream, buff and tan hues. Despite its shimmer, many homeowners find that marble patios go well with plants and the terrain. Blue Stone – A type of a sandstone from New York and Pennsylvania and a limestone from the Shenandoah Valley, this stone is sturdy, lovely, and useful as pool decks, patios and more. Depending on its source, it can have either greyish blue or tan and blush hues. Granite – granite is often cut into cubes and used as cobblestone to create a unique, “Old World” or European look. Granite is stain resistant, and won’t crack like concrete. It is a more expensive option. Less pricey than stone, stronger than brick and more interesting than a concrete pour, concrete pavers create a patio with unique character that unifies home and backyard. Manufacturers make pavers by mixing concrete with a coloring agent. They then pour the concrete into molds that take an infinite variety of shapes. If the concrete gets chipped, the same color appears, so the chip is unnoticeable. Pavers are easy to replace as they are placed on a bed of sand and then stabilized when more sand is poured between the joints. Replacing one is a matter of popping it up. Before getting a patio installation, San Diego homeowners often do have to apply for a permit. Your patio installation expert can guide you. Can I install patio pavers myself? While shows like This Old House, Trading Spaces and Rehab Addict make do-it-yourself projects seem like a breeze . . . beware. We at Superior Stucco and Stone have rebuilt many stone and paver patios started by well-meaning homeowners and handymen getting ahead of themselves. When a patio is not graded correctly, water can flood first floor rooms. Preparing the bed under the pavers is a time-intensive job requiring special, heavy-duty equipment. The base of a backyard stone or paver patio is not concrete, as many assume. The big advantage of using pavers is flexibility of the surface and that flexibility is created by digging out the ground under the patio area, and then lining it with crushed stone and then sand. This “bed” allows pavers and stones to move and “breath” with changes in temperature and ground tremors without damage or cracking. Our first step is to prepare the “bed” or the soil base. We typically remove tons of dirt in the process. Then we grade the soil so that any water that seeps through the pavers, stones and sand runs off the patio towards yard drainage. It’s even possible we’ll recommend additional drainage, depending on the situation. Expert patio installation recoups its costs in the decades you enjoy your lovely space. How do I know which patio contractors are legitimate? When considering patio installation, always check that any contractor or San Diego stone mason has a legitimate stone masonry contractor license. The state of California has a contractor license check service on its website at no cost to you. Cutting and placing stone can be tricky work requiring rigorous training and apprenticeship. Feel confident during a rainstorm your patio is efficiently directing water away from your home. How do stone or paver patios most often get damaged? The natural stone or concrete paver patio tends to be install-it-and-forget-it project. While concrete pavers may need a sealant applied every two to three years, stones thrive outside! They’re in their element, after all. Pavers can crack due to weather, floods, earthquakes or objects being dropped on them. Sometimes homeowners can get away with popping the paver out and turning it over if the crack doesn’t penetrate the whole brick. Resort to this remedy for chipped pavers as well. If one paver gets out of alignment, it can cause the others to do the same, so make sure you fix a straying paver. The pressure on them when they’re out of line can crack them over time. Are paver or stone patios covered by insurance? Homeowners’ insurance policies can cover structures outside the home. Still, paver and stone patios are not always considered “separate” or “other” structures like retaining walls which are covered up to 10% of the value of the home. Further, since the most damage to stones, pavers or the patio bed would occur through flood, fire or earthquake, homeowners must make sure they are covered for these potential misfortunes in addition to a the typical coverage of the home and contents. Since insurance policies vary drastically, it’s best to consult with your agent to get a final answer on this question. What do concrete paver patios cost? Concrete pavers can run from between $5 and $15 per square foot installed. What do natural stone patios cost? Natural stones cost $10 to $30 per square foot for materials and installation. A 15’ x 15’ space paved with $20 stones costs $4,500. Laying natural stone is time intensive. Do I need a permit to put in a concrete paver or natural stone patio? It depends. Your retaining wall contractor should be able to advise you. Your first step is to call (619) 446-5000 for general information. If you do need a permit, either your or someone from your contractor’s office goes down to the city of San Diego’s Development Review Center on 1222 First Avenue. You can call (619) 446-5300 for appointments or just show up, much like you would for the DMV. Agents can be friendly and accommodating or particular and demanding. It’s the luck of the draw. They may require documentation and your property’s plot plan showing your improvements and a listing of all type of construction you plan to embark upon. Lucky applicants get their projects fully permitted right on the spot, over the counter. A patio is simple, and we’ve had good luck getting permits quickly. Agents do sometimes ask clients to leave plans for review. When a review is necessary, the permit may take days or weeks to be issued. Where do I get patio ideas? Make sure to write down the web addresses of those you like best. Pavel and his team will to match it. Ready to review some of the beautiful patio options available today? Click below and fill out our simple form. We will call to provide the key details you need to take your next steps. Don’t forget to see our 260 reviews on Angie’s List. Our clients have been great to put them up. After thirty years working with stucco and stone, we’ve bumped up against every patio issue possible. We’ve also installed a wide range of concrete paver and natural stone patios on homes from Point Loma to La Jolla to Rancho Bernardo. Our 16, 4- and 5-star Yelp reviews also indicate our dedication to our customers and the perfect installation of their new outdoor patio.